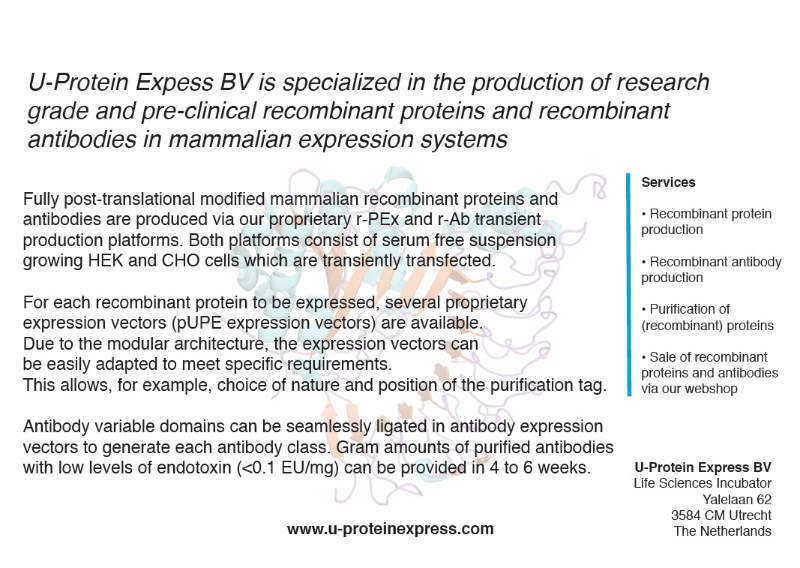 ImmunoPrecise Antibodies is a leading provider of custom monoclonal and polyclonal antibody development. With more than 20 years’ experience, our know-how and expertise yield the highest success rates and some of the fastest turnaround times in the industry. Clients trust us to get the results they need. 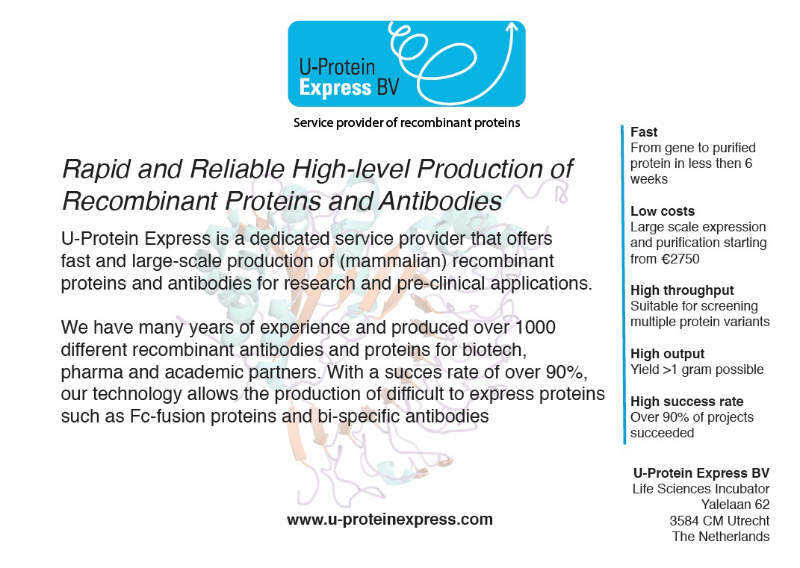 With our fast, high-quality, professional service, ImmunoPrecise looks forward to working with you on your next antibody project. 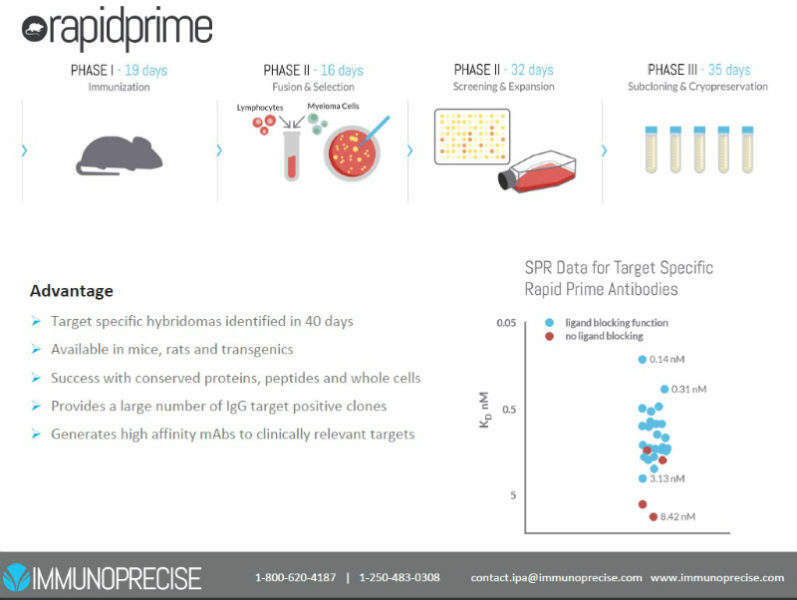 Rapid Prime is ImmunoPrecise’s trademark custom monoclonal antibody development service. 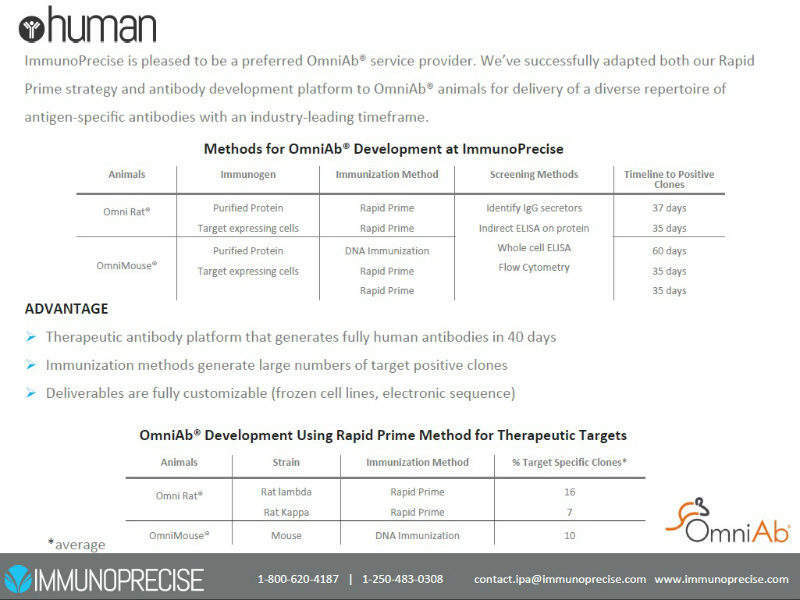 This rapid immunisation strategy saves weeks on custom hybridoma development. When coupled with our single-step cloning procedure, Clone-EZ, positive hybridoma cell lines are identified in 32 days. 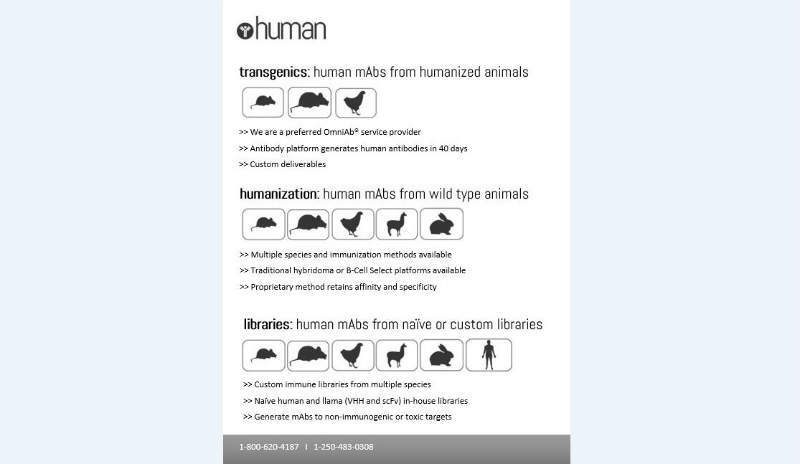 This animal-friendly immunisation strategy does not employ Freund’s adjuvant and reduces the immunisation phase from 84 days to 18 days without limiting affinity maturation of the B-cells, while consistently producing mAbs of all isotypes. 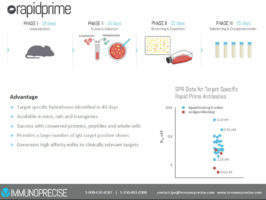 The Rapid Prime method has also been extremely useful for generating monoclonal antibodies against conformational epitopes. 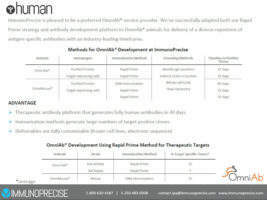 This gives ImmunoPrecise a distinct edge over less progressive companies’ protocols and allows clients to conduct research or market valuable mAbs in the fastest time possible. 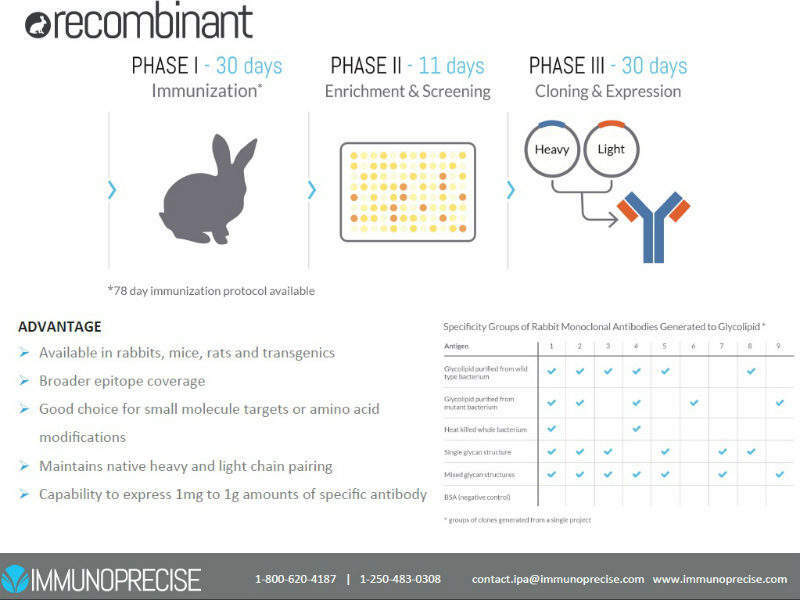 ImmunoPrecise is a high-quality production facility capable of developing custom polyclonal antibodies in a variety of species, including rabbit, goat and sheep, against a variety of immunogens. 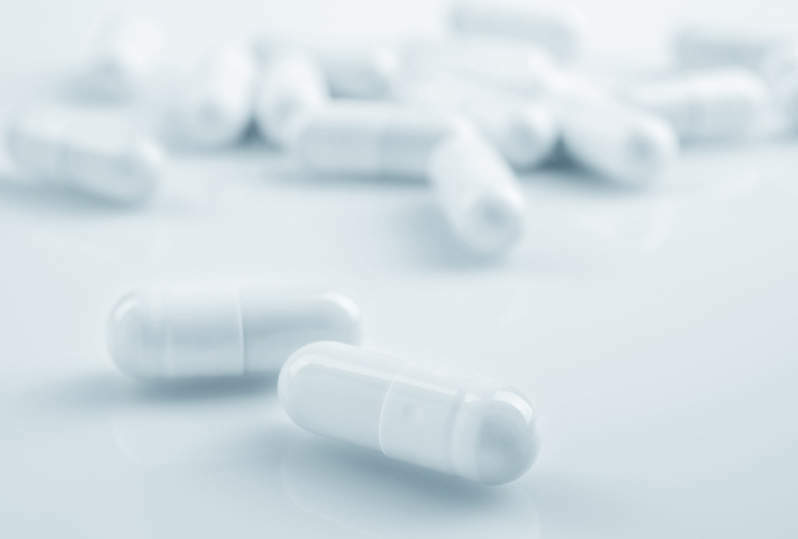 Immunogens include individual amino acids, in/organic compounds, peptides and post-translational modifications such as phosphorylation, acetylation and methylation, along with native and recombinant proteins. 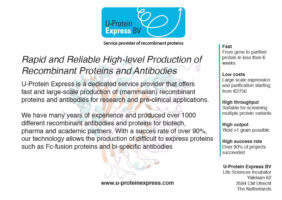 ImmunoPrecise is an accredited manufacturing facility capable of small-scale and bulk production of any custom antibody clone, both in vitro and as ascites. 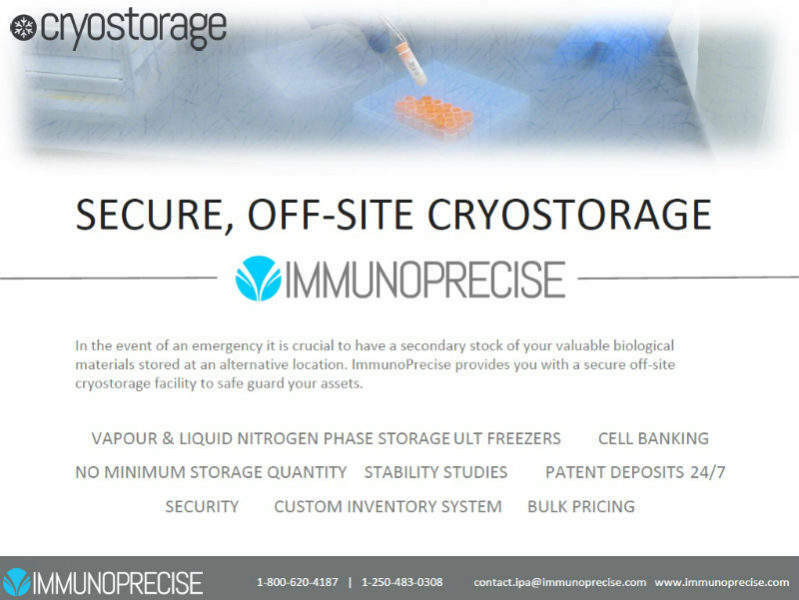 Our cryopreservation services division offers storage for cell lines, tissues, RNA, DNA, plasmids and antibodies. 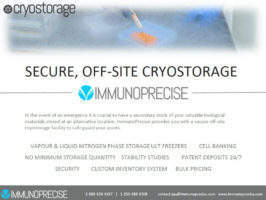 ImmunoPrecise safeguards valuable biological materials by utilising the latest in liquid nitrogen storage technology. Our storage tanks are regularly monitored and highly secure. Low-level alarms and daily inspections ensure sample safety. 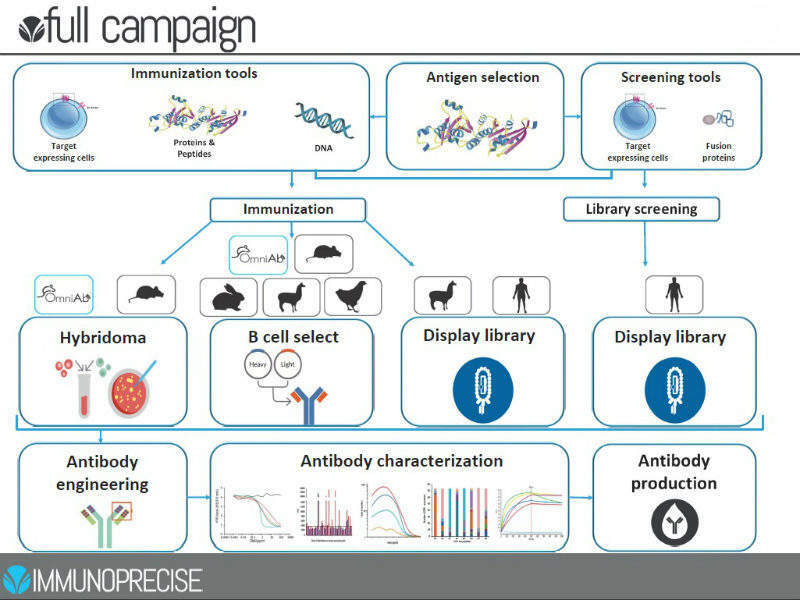 ImmunoPrecise offers a growing list of high-quality antibody products to the research community. 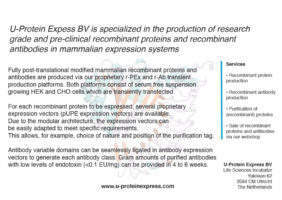 We have also developed an array of antibodies for out-licensing. At hubXchange’s European Antibody Therapeutics event, Debby Kruijsen will lead a round-table discussion entitled 'Implementing discovery strategies to value the therapeutic potential of lead antibody candidates' while Nienke Smits will present a poster entitled 'DeepDisplay™: a powerful and unique human lead antibody discovery platform utilizing OmniMouse®'. Recombinant genetic technologies often utilise C or N terminus polyhistidine tags as a means of identifying and purifying the resultant recombinant proteins. 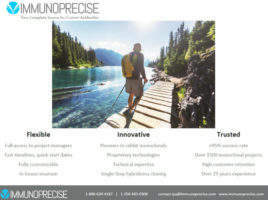 Immunoprecise Antibodies has announced that it has opened a new subsidiary office in Cambridge, Massachusetts, US. 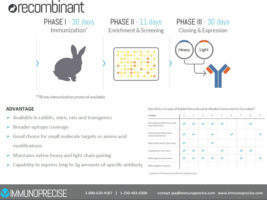 ImmunoPrecise Antibodies has increased its non-brokered private placement financing to 875,000 units of ImmunoPrecise at a price of $0.80 per unit for gross proceeds of $700,000. 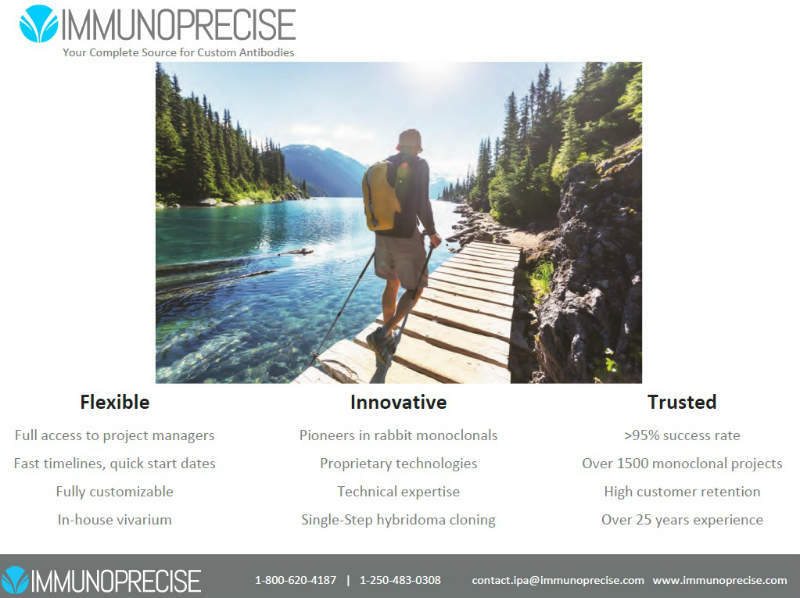 ImmunoPrecise Antibodies has announced has appointed president and CEO Jennifer L Bath as a member of its board of directors as part of its annual review of management. 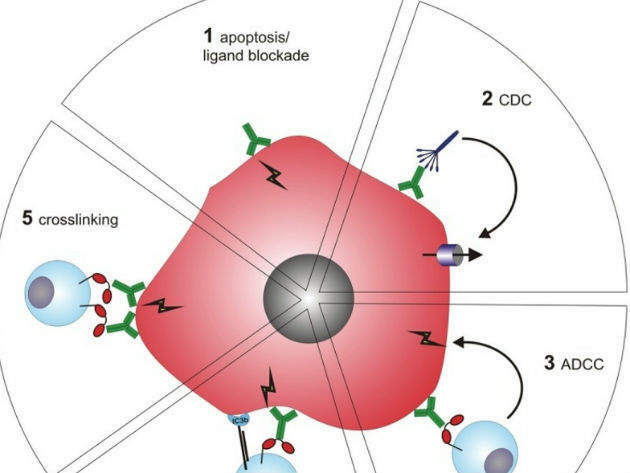 ImmunoPrecise Antibodies (IPA) has announced the opening of its new, innovative full-service B-cell facility offering B-cell screening, sorting and sequencing on a broad range of therapeutically relevant protein families including G-protein coupled receptors (GPCR) and other multi-membrane-spanning proteins. ImmunoPrecise is pleased to announce that it has acquired all of the issued and outstanding shares of ModiQuest Research BV. ImmunoPrecise has announced it will be exhibiting at the upcoming PEGS Summit conference in Boston, Massachusetts, US.